Chemist Direct looks into NICE’s guidance to lower the threshold for prescribing statins as a precaution against heart disease while the UK Health chief speaks out on the side effects of statins. 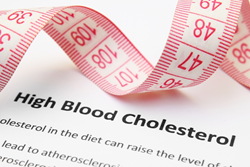 Although cholesterol is necessary for normal cell and body function, high cholesterol levels is the most common reason that a person is placed on statins, but the drugs also reduce heart diseases by preventing atherosclerosis. Statins are a class of medicines that are frequently used to lower blood cholesterol levels. The drugs are able to block the action of a chemical in the liver that is necessary for making cholesterol. Statins inhibit an enzyme called HMG-CoA reductase, which controls cholesterol production in the liver. The medicines actually act to replace the HMG-CoA that exists in the liver, thereby slowing down the cholesterol production process. Additional enzymes in the liver cell sense that cholesterol production has decreased and respond by creating a protein that leads to an increase in the production of LDL (low density lipoprotein, or "bad" cholesterol) receptors. These receptors relocate to the liver cell membranes and bind to passing LDL and VLDL (very low density lipoprotein). The LDL and VLDL then enter the liver and are digested. Although cholesterol is necessary for normal cell and body function, high cholesterol levels is the most common reason that a person is placed on statins, but the drugs also reduce heart diseases by preventing atherosclerosis. In fact, it is possible to have a heart attack without high blood cholesterol levels, but nearly all heart attacks begin with atherosclerosis plaque buildup. Plaques from atherosclerosis can still form even when blood cholesterol is low. Therefore, statins may be used to treat people who have or are at a higher risk of atherosclerosis even if they do not have high cholesterol levels. http://bit.ly/1rnwI9q By reducing blood cholesterol levels, statins lower the risk of chest pain (angina), heart attack, and stroke. Several types of statins exist such as atorvastatin, cerivastatin, fluvastatin, lovastatin, mevastatin, pitavastatin, pravastatin, rosuvastatin, and simvastatin. A group of GP’s and medical staff have written to NICE requesting that they not rely on evidence from drug company sponsored trials, which have been shown to play down the risk of side effects including diabetes, impotence, cataracts, muscle pains, mental impairment, fatigue and liver dysfunction. But according to a 2012 Oxford University study, published in The Lancet medical journal, http://bit.ly/1l790yh it would lead to five million more people taking the drugs. Professor Colin Baigent, of the Oxford team, said it would save 2,000 lives and prevent 10,000 heart attacks or strokes a year. He said even healthy people would benefit from statins – a group of medicines that help lower LDL cholesterol, so called “bad cholesterol”, in the blood.